And this funny Funtime Freddy skin will be with you. What to do with the pink wolf? He will be all pink with small white patches. And in general, it will be more like a robot in minecraft pocket edition 0.14.3. His mouth will be open. What more could you ask for? Yes, actually, nothing. This image is bright and funny, and does not pretend to be a serious attitude. No battles and conquests. Only rest. 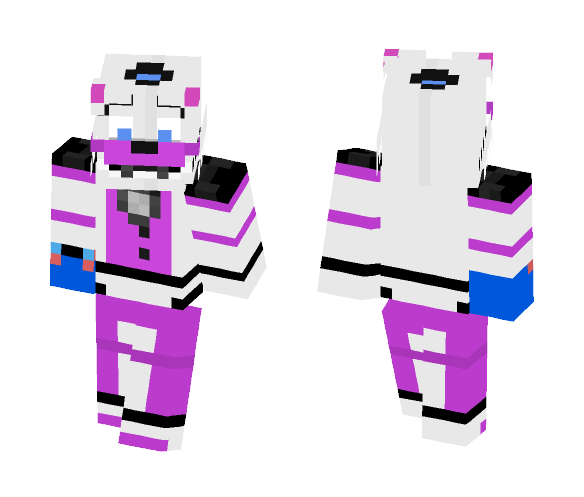 For such purposes, you can easily download the Funtime Freddy skin for Minecraft 0.14.3. And then install it with blocklauncher.